The hosting networks we use are located in Professional Datacentres in both New Zealand and the USA. 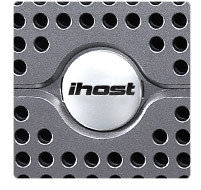 Where a particular hosting plan is hosted, is dependent on which hosting plan it is. All server networks utilise some of the most up to date server technologies available in the world. These servers are suitable for most types and sizes of websites, from high traffic database driven and e-commerce websites, through to simple one page brochure sites. All servers we use are stored in modern, air conditioned and secure data centres. There are multiple levels of security required to access the premises, and the servers are connected to a full UPS system with backup generators. Below are details of the two main datacentres that we use, and the hosting plans that are hosted on them. Our Corporate & Business Hosting Plans are hosted on a large server network at the Vocus Albany Datacentre, located in Auckland, New Zealand. This network consists of both Windows and Linux servers, and is currently made up of over 200 servers. The Vocus data centre is a modern facility with full redundancy in connectivity, power, and cooling. Vocus is a leading New Zealand ISP with a strong focus on mission-critical server infrastructure. As the service is so critical to businesses, our providers have invested tens of thousands of dollars in the network ensuring not only maximum capacity, but also that everything on the linux server network is doubled up to provide redundancy. This means that in the event of a hardware failure, another system waiting idly can pick up service in seconds, reducing any potential interruption. This redundancy for web hosting is also planned to be added to the Windows servers in the future. Our providers are constantly reviewing hardware and replacing outdated systems where necessary, as well as continuing to build on the hosting network to increase capacity and redundancy. Server network comprising of over 200 servers. Linux or Windows hosting available. 2 x 155mb fibre through Telecom and TelstraClear. 1 x Gbps fibre circuit through Vector Communications. Peering through Auckland APE and WIX exchanges. Raised floor for individual cabinet airflow. Multiple UPS (uninterrupted power supply) batteries. Concrete floors, walls and ceilings. Daily file server back-ups with 14 day archive. Our CPanel™ Based Hosting Plans plans which include our Starter, Silver, Gold & Platinum hosting plans, are all hosted in World-Class Datacentres, in the USA. 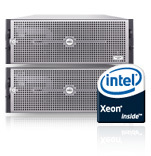 All of these hosting plans are hosted on Intel Dual Xeon o Servers or similar, with RAID harddrives. The Los Angeles datacentre facility, has multiple gigabit connections to upstream providers, to ensure solid network stability and capacity. IP transit is from from 2 cisco 12008 GSR's which are connected via multiple gigabit fiber uplinks to the distribution switches (2 cisco 2948G-L3's). Each cabinet is prewired and connected to the main distribution cabinet so it's plug and play. Each cabinet has it's own switch, we prefer a layer 2 switch in each cabinet. All of our servers are hooked up to APC remote reboot ports in the event that they lockup for any reason. The network has transit from Level 3 and ATT(Mzima), Savvis, and Global Crossing. That means that there are 4 Tier 1 bandwidth providers. This is a premium, exclusive network that gives all of our hosting clients on the USA network, a major advantage over other USA hosted servers, regardless of geographic regions. Very few hosting providers are able to provide this level of network connectivity and bandwidth providers.